I wish that the earth would revolve around its axis a bit more slowly and we all would have longer days. But alas, we have to make do and save from what we have. For us net workers, the straightforward way would be to just type faster. Some of us though find it difficult to break the speed barrier and have to resort to some other means. One of it is avoiding repeated typing of the same text. Auto-completion is the term which helps to take away the chore of frequent typing of the same blocks of text. Some programs switch it on by default. We see it in browsers when they auto-complete saved log-in details. It comes into action in Office documents, when the application suggests days, dates or words. Auto-completion works by completing a word or a phrase when we type the first few letters. 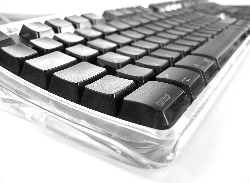 Long words or phrases can be filled in with a few keystrokes. So we have to type less and the whole thing is an example in productivity. The benefits of auto-completion don’t just have to do with less typing and more productivity. Auto-completion wards off boredom to a small extent and RSI (Repetitive Stress Injury) to a larger one. RSI is an almost invisible but real threat to people whose occupation has anything to do with typing. So this is where a speed typing program like TypingAid fits in. It is a simple tool for a simple task. But how simply does it do it? Let’s try it out. TypingAid is a small and free download at 209KB. The best thing about it is that you don’t need to install it and you can run it straight from its folder. There is nothing to configure and all one has to do is put in the most frequently used words into a text file that runs from the same folder as the TypingAid executable. 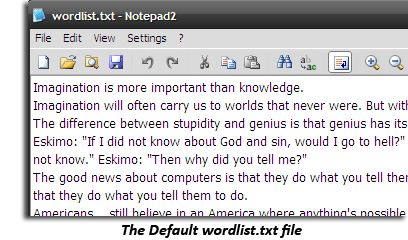 A sample text file (wordlist.txt) is given in the program’s folder. It’s as easy as typing your “˜auto-text’ in successive lines. It can be anything”¦your contact details, a salutation, the way you sign off personally, technical terms you use most often etc. The text file can be edited as a normal text file – open the file, add your lines and save the file. The quicker way is to highlight the words you want to place in the text file and press Ctrl + Shift + C. The words get added to wordlist.txt and the file auto-saves automatically. When you type the first 3 characters that match the beginning of a word or a sentence in wordlist.txt, the program offers it as a suggestion tooltip. All entries that match the first three inputs are offered for selection in the tooltip. Pressing the corresponding number beside the entry will auto-complete it in the place you need it. For instance, I am trying it out with four of my signatures, pressing the right number inserts the right signature in any document or email window. Neat! The simple working is mentioned in the ReadMe.txt file in the program’s folder. The size of the tooltip can be changed from Windows properties like for all regular tooltips. There’s nothing to configure, so maybe my grandma can also use this to cut short her typing. The speed typing program needs no installation and is completely portable from one system to the next. It works in all programs both offline and online. Words or expressions can be added to the wordlist.txt file with a shortcut without the need to open it and save it. The program is tiny and takes up very little memory. A user’s memory could be the only speed bump, because he has to remember the text that’s in the wordlist.txt file. But I guess a few runs around the block will solve that. Phrase Express and Texter are two similar free speed typing programs we had covered a long while back. Where do you think TypingAid stacks up against these two or any one in your toolset? TypindAid ver1.2 is a free download and is compatible with Windows XP/Vista/7.